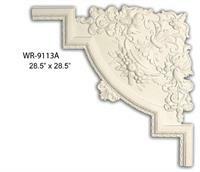 Decorative relief is a great way to turn those plain flat features of a wall or ceiling into a conversation piece. 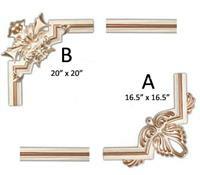 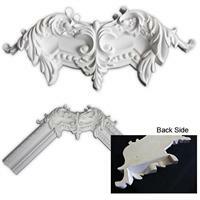 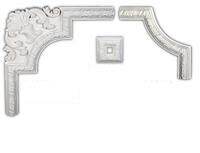 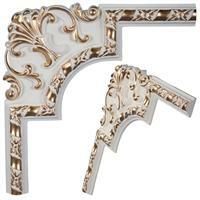 These moldings can be used to add detail and design to any surface or to frame a special painting, mural, mirror or any décor you want to have a special place in your home. 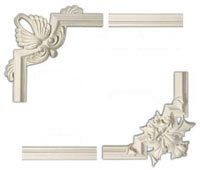 Installation is simple using adhesives and your imagination. 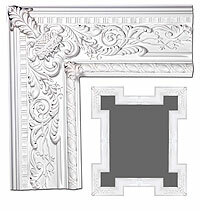 Browse our ceiling and wall design galleries for creative ideas.